Our family welcome you to come and experience the charm of Lakeland from within a working 16th century fell farm. The farmhouse is a Grade 1 listed building and has lots of old fashioned charm with many original features. 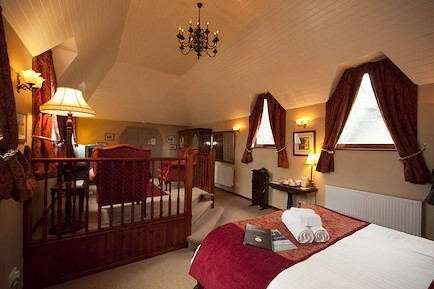 We have 5 double/twin en suite rooms, 3 with baths, each one having a fantastic view across Derwentwater. Enjoy our traditional hearty English farmhouse breakfast and relax later in the original oak-beamed lounge. A permissive path leads the farm to the nearby beautiful Ashness Bridge and the stunning vista of Surprise View is just a short stroll away, Ashness Farm is an ideal base for fell walking, sightseeing by car or simply taking in the breathtaking local scenery and wildlife. The historic market town of Keswick is a short drive away where there are many opportunites to eat, shop and explore. Feel free to bring your wellies! Ashness Farm provides an idyllic location whether you are a regular or first time visitor to The Lakes. We are situated near the southern end of Derwentwater in the beautiful picturesque Borrowdale valley. Leave Keswick via the B5289 for Borrowdale, travel for 1.5 miles then turn left up the hill signposted Ashness Bridge/Watendlath Follow this road for nearly 1 mile and pass over Asness Bridge. We are approximately 1/4 of a mile on the left just after the 2nd cattle grid. Your enquiry will be sent directly to Ashness Farm B&B. Please fill in as much detail as you can.